The past two weeks has been great, but it also took a lot from me. I have been looking forward to my guest’s visit since I got back from Australia, but I never thought it would stress me so much. What better way to recover from stress than by having a picnic at the University of the Philippines with my closest friends? I didn’t study at UP. Neither did my two friends. But UP has been a pretty big part of our lives. 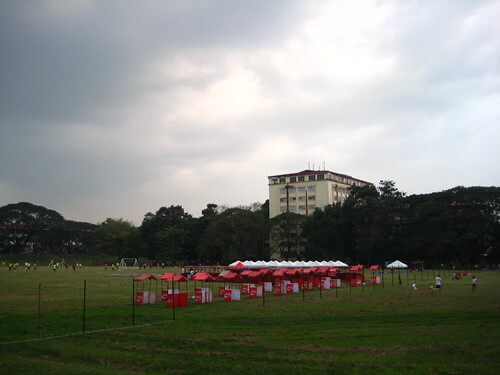 After we graduated from high school and went our separate ways in college, our barkada (group of friends) would have our annual picnic at the UP lagoon to get everyone together again. If before we would each bring food for the potluck picnic, as well as mats, reading materials, even a radio, this year’s picnic is different. I left the house just toting three sarongs to use as mats, and a wallet full of change. The plan was to buy all our picnic food inside the university grounds. 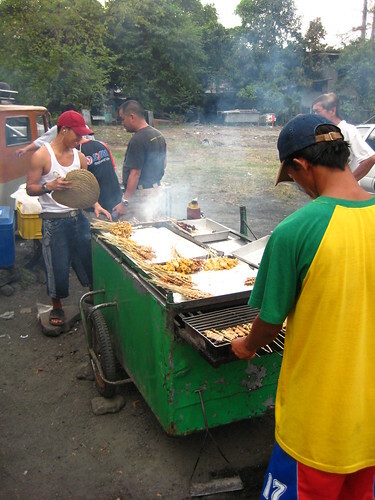 Filipinos are big on food. For us, the food that brings us the most comfort are the food we ate growing up, be it the food our mothers cooked or the food we bought off the streets. 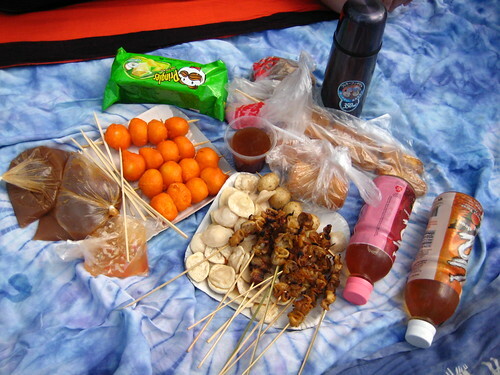 This being UP, we were spoilt for choice: taho, banana-que, lumpia, isaw, fishball and kwek-kwek. The ultimate comfort food! The weather even cooperated with us. It was overcast that afternoon, and though it looked like it would rain any second, it didn’t pour. It was still pretty humid, but it wasn’t as unpleasant that it would’ve been if the sun was out. Besides, how can you get up and take photos when the pull of the earth’s gravity was too strong to resist? 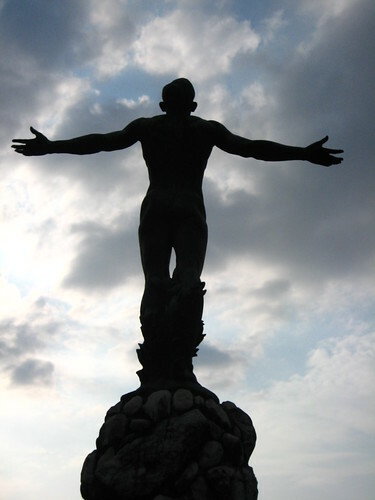 The University of the Philippines is celebrating its 100 years this 2008. This means plenty of activities and events throughout the year. We went there a couple of Fridays ago, and there were 3-5 events happening all at once. This week is the week-long UP Fair. Who know what events they have lined up next week? 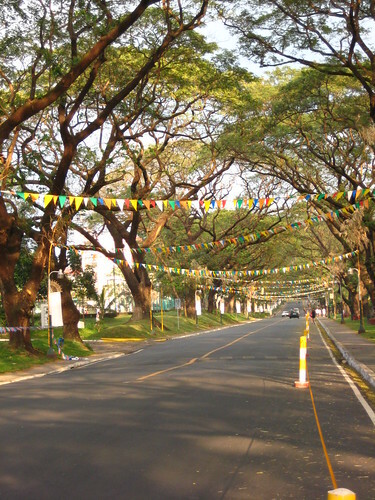 If you’re looking for a place to hang out after work or school, or a great place to picnic during the weekend, you need not look far: UP Diliman is the place to be. Wow! Streetfood galore, I love! Pero you also have the aberration that is Pringles Asian Distro! Ugh. I het it. I’ve been meaning to blog about it in comparison to old US distro Pringles but I don’t want to spend money on a can of that new crap in the thinner cans. Ugh. At dito pa ako nagreklamo sa blog mo no? Hahaha, forgive me, Neeners! Mmmmmmmm UP picnic. Mmmmmmmmm damnit, I haven’t had isaw forever. Kaoko: Hahahaha! That reminds me… I’m craving for that Tzatziki flavored chips. Darn you Kao! plan to go there this wekend with kids to play frisbee…been looking for a weekend workout where i can take my kids..so there. i love tukneneng and c2!